Welcome to our new series, Survival of the Chicest. Here, we’ll look at the world’s most iconic fashion items, from Chanel pumps to the Breton top, charting their rise to fashion fame and decoding their allure. Ultimately we’ll be investigating what it is that’s made these pieces so popular and allowed them to stand the test of time. Today we’re looking at the Hermès Birkin bag and how it continues to appear on the arms of fashion editors, celebrities and influencers alike. From Hollywood to the FROW, the iconic Birkin bag has become a global symbol of status and wealth. Its easy-to-recognise shape and hardware can be customised in countless exotic materials, and it's handcrafted in a six-phase process over the course of 20 hours. Even with its jaw-dropping price tag, the Birkin remains one of the most difficult bags to get your hands on because of overwhelming demand. But what exactly has given this iconic piece of arm candy such enduring popularity? To understand how the Hermès Birkin bag became such a hot-ticket item, keep scrolling. A straw-and–tan leather version of the Hermès Birkin on the streets of fashion week. Jane Birkin with a basket bag instead of her namesake creation. In 1983, or so the story goes, Jean-Louis Dumas—chief executive of Hermès at the time—was seated next to Jane Birkin on a flight from Paris to London. When the actress's basket bag tipped over, pouring all of its contents on the floor, Dumas felt inspired to design the icon a bag that was equally as stylish as her signature style but would actually stay closed—so inspired, in fact, that he drew the initial design on an airplane sick bag (chic) right then and there. And soon after, the Birkin bag was born. Jane Birkin with a very full Birkin bag. Khloé Kardashian with a crocodile version of the Hermès Birkin. Celebrities are no stranger to the Birkin bag—surely you've seen the Kardashian squad toting their Birkins on any highly papped gym run or airport outing. Kris Jenner is said to have a whole room dedicated to her Birkins, complete with a neon sign that reads "Need money for Birkins." A sentiment we can (kind of) relate to. Kim Kardashian West even let her daughter North customise one of hers in what has to be the most expensive arts-and-crafts session of all time. It's guesstimated that Victoria Beckham owns upwards of 120 Birkin bags, though you're more likely to see her sporting one of her own designs nowadays. So just what is it about the Birkin bag that has garnered it such a cult A-list following? Exclusivity, of course. It's difficult to get nature and recognisability make it the perfect flashy piece for those who love the spotlight. Kim Kardashian West with a smaller Birkin bag in black. A cerise pink Birkin on the streets of NYC. 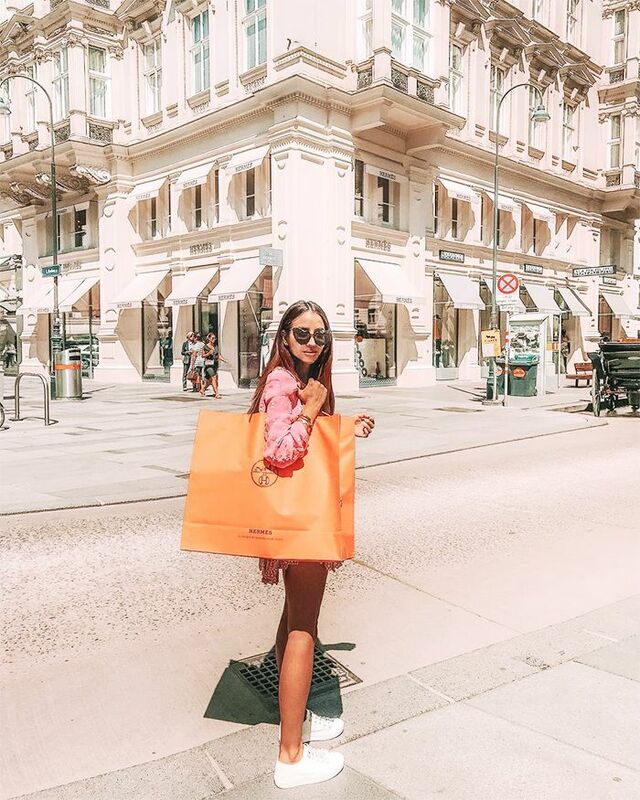 The luxury resale market has seen a massive boom in the past few years, with companies like Vestiare Collective asserting that the Hermès Birkin bag retains around 130% of its retail value at resale. The reasoning behind this? Scarcity. It's widely known you can't just stroll into any Hermès shop and expect one of the pristine shop assistants to lift the red ropes and present you with a with a selection of Birkin bags to choose from. As Vestiare co-founder Fanny Moizant succinctly puts it, "Anything that is hard to get is highly coveted, and there's a mystery around the bags, which makes them even more sought-after." On 12 June, Christie's London hosted a handbag auction featuring some of the world's most exotic finds, including an Hermes Birkin bag that broke European records, selling for an unbelievable £162,500. One has to wonder—will the bag's new owner ever even wear it? We think not. Baghunter shared that between June 2016 and 2017, the value of Birkins on the resale market rose by 16%. We're no expert on investments, but we'd say the Birkin sounds like a pretty sure bet. This begs the question: stock market or bag connoisseur? I'll take the bags, thanks. Many Hermès Birkin bags come with these scarf-wrapped handles. Looking for something a bit more realistic? Check out the A/W 18 designer bags you can buy right now.